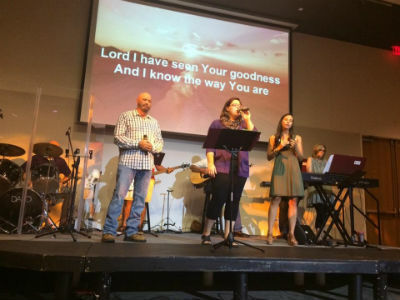 Town Center Community Church in Marietta, Georgia, has been an influential church in its community for many years, but its new name reflects God’s vision for the congregation today. Not only are they intentionally targeting the family unit as the primary conduit of faith to the next generation, they’re also making investments beyond their own neighborhood to reach even more people for Christ. The seeds Legacy Church-Marietta is planting twenty-six miles to the north of their original location have already begun to blossom and bear fruit. Legacy Church-Canton now exists as a satellite location which, after just one-and-a-half years, has exploded in growth from 66 to 140 in attendance. 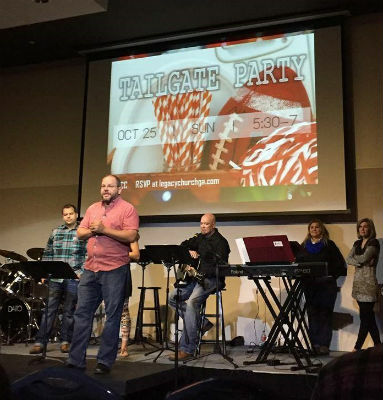 For Legacy Church, simplicity was a key factor to creating an atmosphere conducive to growth. “We would focus on the most important things,” Brent Vicars, lead pastor of Legacy Church-Canton explains. He cites the following basic emphases: the Word of God, worship, fellowship, and high-quality children and youth ministries. Building on that foundation, the satellite campus has added community outreach, partnering established local ministries, small groups for adults, and evening activities. No greater legacy can a family leave than that of faith. Nate Nielson, the senior pastor of Legacy Church, explains that both campuses are now considered “D6” congregations. Based on the commands given in Deuteronomy 6:4–9, the overarching goal is to equip families to raise their children up in the Lord as the primary influence. “This re-direction began in 2011, and we have seen marvelous things happen to our families as a result,” Pastor Nate recalls. Not only is this Georgia church leaving a legacy to families and children in two locations, but it is also reaching across cultural lines. For seventeen years, the Spanish-speaking ministry has breathed life into a fast-growing segment of the population that must not be overlooked. Julio and Julie Rivas co-pastor this outreach which, over the past fifteen years has celebrated more than five hundred souls saved and baptized. Photo: Pastor Brent Vicars speaks at Legacy Church-Canton. This entry was posted in All Church of God, Southeast and tagged Brent Vicars, Canton, church health, church planting, discipleship, families, family ministry, Georgia, growth, Hispanic, Julio and Julie Rivas, Legacy Church, Marietta, mission, multiplication, Nate Nielson, satellite campus, Spanish, Town Center Community Church, vision. Bookmark the permalink.